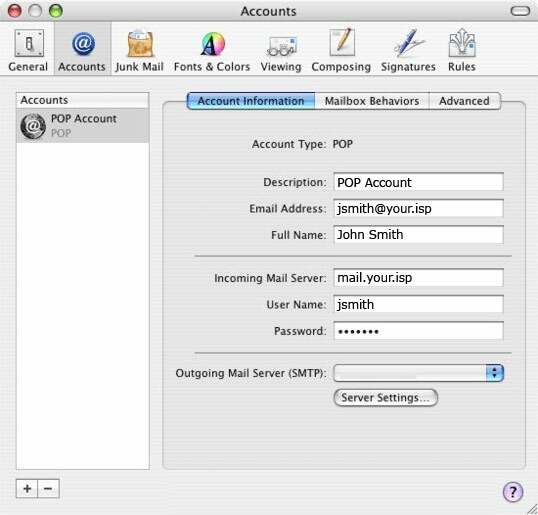 Server addresses, security information and additional support can be obtained from the email provider. From the Accounts tab, click Account Information, ensure the settings are correct then click Server Settings. 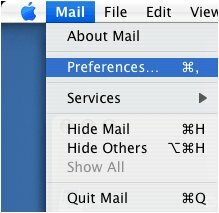 Mac® OS 10.5 and later, click Outgoing Mail Server > Edit Server List. The email address for the account. Usernames may vary depending on ISP (e.g. - john.smith@your.isp or jsmith). Enter the Description and Server Name then click Advanced. If using Mac® OS 10.4 or 10.3 skip to step 5. Ensure the required settings are correct then click OK.
From the Advanced section, ensure the required settings are correct then click the red dot located in the upper-left corner.